Jacobs' engineers and sales professionals do engagements with hundreds of our customers every year to review processes, practices, and wear patterns on their equipment. We can also use that information to engineer products specifically for your lowest-possible cost per ton. These engagements can save anywhere from 5% to 200% cost savings on our customers' hammermill and pellet mill needs. During these visits, our experts will review every step of your milling process with you, answering any questions you may have and making suggestions based on our vast experience in the milling industry. 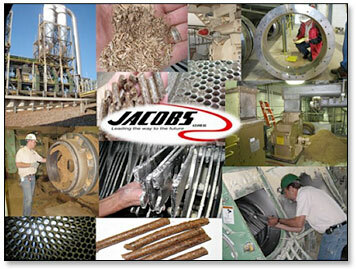 We can also give estimates on how much Jacobs' products could improve your process and boost your production! If you would like to have one of our experts come review your plant, please send an email to jacobs@jacobscorp.com, or click on the link at the bottom of the page.